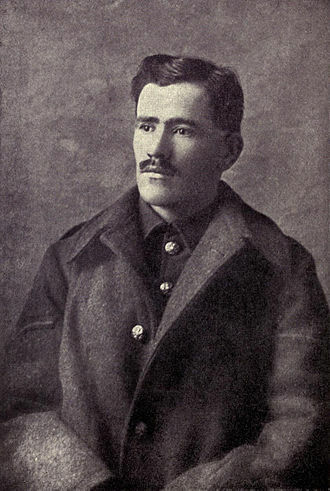 On this day in 1917 poet Francis Ledwidge was killed at the Battle of Passchendaele. Born in County Meath in 1887, he was known as the “poet of the blackbirds”. On this day 100 years ago Edward ‘Mick’ Mannock was killed in action flying over the Western Front. Hear more about this extraordinary man as military aviation expert Guy Warner speaks at the 2018 WCHF about Mannock and other First World War airmen with Cork connections including Robert Smith-Barry and Lord Carbery. 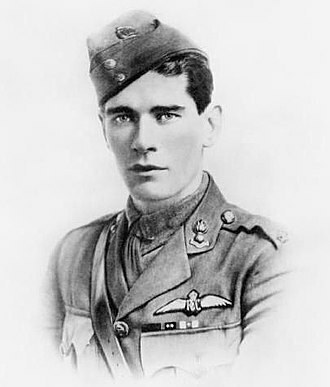 Mannock was one of the most decorated Allied pilots of the First World War. He was also a complex and contradictory man. Born in 1889 to Irish parents he spent some of his childhood in India, where his father was serving in the British army. His father later abandoned Mannock’s mother and their children including Edward himself. Mannock went out to work to help alleviate the family’s poverty and in 1914 was working in Turkey, overseeing cable-laying. When war broke out he was trapped and interned along with other Britons. After a harsh term in jail he was returned to Britain, sick and malnourished but eager to fight. Initially serving in the Royal Army Medical Corps he then transferred to the Royal Flying Corps. Coming from a poor background, and with socialist and nationalist views, Mannock was unlike most of the other, more privileged pilots and initially found it hard to fit in. However, as his confidence and flying skills improved he gained the respect of his squadron and quickly became an air ace. Mannock’s last flight was on 26 July 1918. After attacking a German plane he was strafed by ground fire; the left wing of his plane detached and he spiralled out of control, crashing in a ball of fire. It is not known whether he jumped out or burned to death in the plane and neither his body nor his grave has ever been conclusively recovered. Unlike some air aces, Mannock was little known in Britain. It took much lobbying by those who had served with him for Mannock to receive a posthumous VC, awarded for the nine German aircraft he shot down in June and July 1918. We are delighted to be screening the film Citizen Lane at this year’s West Cork History Festival. The film, released earlier this year, mixes documentary and drama to provide a vivid portrait of Irish aesthete, collector, dealer and philanthropist Hugh Lane, one of the most fascinating figures in modern Irish history. 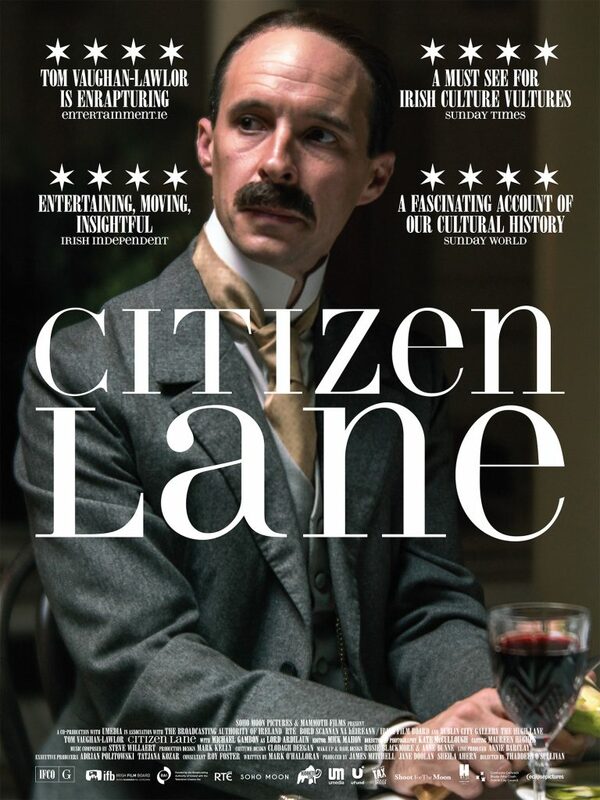 Citizen Lane was directed by Thaddeus O’Sullivan, with the drama written by Mark O’Halloran and it stars Tom Vaughan-Lawlor as Hugh Lane. It is intercut with interviews from contemporary documentary contributors including Professor Roy Foster, who was our inaugural speaker at last year’s West Cork History Festival. The film is included in your ticket price if you have already bought a weekend, Sunday day or Sunday afternoon ticket for the Festival. And if you haven’t yet bought a ticket, we hope this addition to an already rich programme of talks and films will persuade you. This special concert for this year’s West Cork History Festival is a musical narrative created by Jessie Kennedy and Lady Patsy Puttnam. It is an original work inspired by three years in the life of Lady Mary Carbery, from the years 1898-1901 when she lived in Castlefreke. The Carbery Songs album was first released in 2015 to great acclaim. Since their collaboration began over three years ago, Jessie and Patsy have performed the piece at Rosscarbery Cathedral, St. Barrahane’s Classical Music Festival, and headlined National Digital Week at Abbeystrewry Church. The original album was produced by composer Justin Grounds, and music legend Donovan also contributed to the record, co-writing ‘Autumn Song’ with Jessie. The songs were debuted on a cold November day, within the bare stone walls of Castlefreke itself, at the invitation of Mary Carbery’s great grandson Stephen Evans Freke and for a select group of historians. During her research for the record, Jessie unearthed lost hymns written by Mary Carbery, which had not been heard for a century. She reworked these hymns and they provide part of the musical backdrop to Mary Carbery’s words in the performance. She provided the soundtrack to the National Geographic Wild Atlantic Way film in 2017 which was released world-wide. 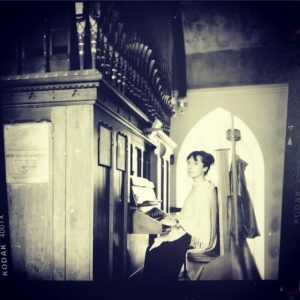 This July 2018 Jessie will perform specially commissioned music at a collaborative event with Jeremy Irons, where the historic NM Cummins letter will be read as part of the Coming Home exhibition at Reen Farm, the home of artist John Kelly, in West Cork. The West Cork History Festival will run from 16-19 August 2018, just outside Skibbereen in West Cork. Now in its second year, the Festival is for everyone interested in history, with a diverse and engaging programme including talks, discussion and film screenings. Our speakers include leading historians, journalists, curators and writers. We are looking for volunteers with a passion for history to help us run the Festival. We can’t offer payment, but if a volunteer works a morning or afternoon session then they will have free access to all the talks and events for the other half of the day. If you need accommodation we might be able to help as well. Tasks volunteers will be expected to undertake include selling and checking tickets, helping visitors, stewarding one of the two Festival venues and escorting speakers. If you are interested please email Victoria Kingston – westcorkhistoryfestival@gmail.com – with information on any previous relevant experience, and also letting us know on which day of the Festival you might be able to help. Coming Home: Art and the Great Hunger is an exhibition of artwork from Ireland’s Great Hunger Museum at Quinnipiac University in Connecticut, USA. This Museum has the largest collection of Famine-related art in the world. The exhibition has just finished at Dublin Castle and will open on 20 July at Uillinn: West Cork Arts Centre in Skibbereen. We are delighted that the exhibition’s curator, Dr Niamh O’Sullivan, will speak at the West Cork History Festival on Sunday 18 August, and that additionally two of our field trips will include the exhibition and visits to Famine-related sites in and around Skibbereen.